Committeeman Meir Lichtenstein gave a press conference this morning following the stabbing that took place in the Lakewood Municipal Building. Lichtenstein confirmed that the victim was a Jewish man in his 70s. The victim, whose identity has not yet been made public, was stabbed multiple times in the back and on the head as he was heading into an elevator. The victim was transported to Jersey Shore University Medical Center with non life-threatening injuries. 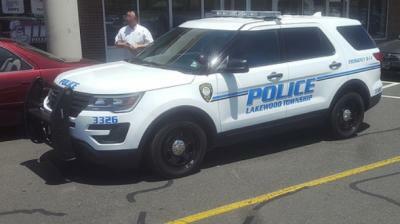 The stabber, who is a Lakewood resident, is believed to be an emotionally disturbed person. The motive for the crime is under investigation by the Ocean County Sheriff’s Office. Terrorism or antisemetism, while not being ruled out, are not believed to have played a role in the attack.